In July, 2007, Floridaâ€™s legislature created a $4,000 wildcard personal property exemption for people who do not receive benefits of a homestead exemption that has become a prime example of the Law of Unintended Consequences. During the real estate heyday on Florida (Circa 2005), there was a great disparity between homeowners and home renters when it came to protecting assets. Floridaâ€™s homestead exemption is unlimited, and homeowners were protecting hundreds of thousands of equity from bankruptcy creditors while renters got only a $1,000 personal property exemption. The $1,000 personal property exemption has been in place since the late 1800s, and given the time value of money, it is only worth about $70 today. Another way to look at it is that, in todayâ€™s economy, a Floridian would need $20,000 to buy the assets that could be purchased for $1,000 back when the original exemption was written into law. Therefore, it was high time to update Florida exemptions, especially for non-homeowners. The wildcard exemption states that, if a person does not â€œclaim or receive the benefit ofâ€ Floridaâ€™s homestead exemption, that individual can claim an additional $4000 personal property exemption, meaning married couples can claim a total of $8,000 of asset protection. As we all know, in the summer of 2008, the stock market crashed, largely due to the housing bubble, and Floridaâ€™s real estate market has been in free fall ever since. All those equity-rich Florida homeowners disappeared overnight, making the homestead exemption about as worthless as a parenting book penned by Charlie Sheen. So, much to the dismay of bankruptcy trustees, debtors filing bankruptcy stopped â€œclaiming the benefit ofâ€ the homestead exemption, even though they still lived in their home. Well, this has really upset those Chapter 7 trustees who make money as glorified debt collectors. More specifically, a Chapter 7 trustee keeps 25% of whatever he or she collects from the debtor in â€œnon-exempt assets.â€ The remaining 75% is paid out to creditors in the bankruptcy case. If a married couple living in their home files a bankruptcy but they claim the wildcard instead of the homestead exemption, the trustee loses $2,000 in fees. 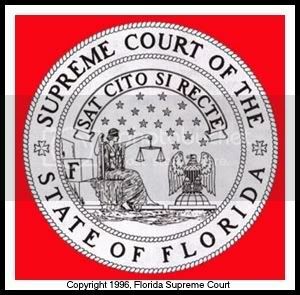 The trustees have furiously defended their right to make a living off the backs of broke Floridians by litigating petty issues surrounding when, where and how a debtor can claim the wildcard if he owns a home. After much litigation, hand wringing and teeth gnashing, the Supreme Court of Florida finally put the issue to rest last month when it issued its decision in Osborne v. Dumoulin, — So. 3d –, 2011 WL 320986 (Fla. 2011). In the Osbourne decision, Chief Justice Canady explains that a bankruptcy debtor need not do anything affirmative to not claim or receive the benefit of the homestead exemption. Therefore, a homeowner can choose the $4000 wildcard exemption if it provides a greater protection than the homestead exemption would. Actual abandonment of the home is not necessary. HOWEVER, the Court states, â€œWhen the debtor in bankruptcy does not claim the homestead exemption, the debtor effectively surrenders the homestead to the trustee for administration.â€ This is key, because bankruptcy trustees are already threatening to kick debtors out of their homes by claiming there is a benefit to the bankruptcy estate in doing so. In reality, this maneuver is merely designed to extort $4000 – $8000 from debtors already losing their homes by making them leave a couple months early. Therefore, the next battleground on this issue is whether the trustee can force a debtor to turn his house over to the bankruptcy estate when there is no equity and, therefore, no benefit to the estate or creditors? One trustee has told me that he intends to offer to sell a quitclaim deed to the property to the debtorâ€™s mortgage holder. At first blush, that sounds like a great idea for a mortgage holder because of all the problems facing these guys in state court when they attempt to foreclose. However, given all of the potential title issues involved, I seriously doubt the mortgage holder would bite, but you never know . . .
A list of Florida’s exemptions can be found here.